The BBC's Sherlock recently finished its second series. While much of the critically acclaimed show was filmed in Cardiff, many of the more notable scenes were shot in London. Holmes and Watson give their address as 221b Baker Street, but exterior shots were actually filmed a half-mile north-east in North Gower Street, where filming conditions are quieter. The fictional pair live above Speedy's Cafe, which is a genuine sandwich bar. 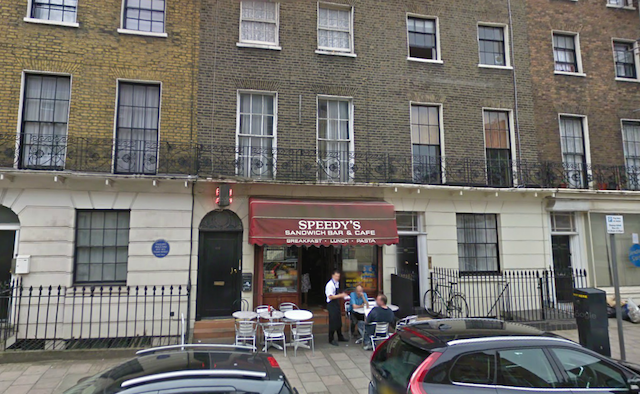 It was renamed Mrs Hudson's Snax for the pilot episode, but regained the Speedy's name thereafter. According to The Mail, the tiny eaterie has seen a marked increase in footfall since the show began. The detective's flat is (or was in 2010) occupied by a pair of Korean students, with no reported sleuthing skills. Had Holmes and Watson lived here in their canonical late-Victorian period, they might have heard tales of their late neighbour Giuseppe Mazzini, the Italian exile and patriot who once lived next door (as attested by the blue plaque). Wonder what the boys think about High Speed 2, whose construction later this decade would wipe out some of the neighbouring streets. This stuffy gentleman's club first appears in the Conan Doyle story The Greek Interpreter. Sherlock Holmes' idle but brilliant brother Mycroft is a regular visitor, and its location is given as 'just opposite his rooms' on Pall Mall. 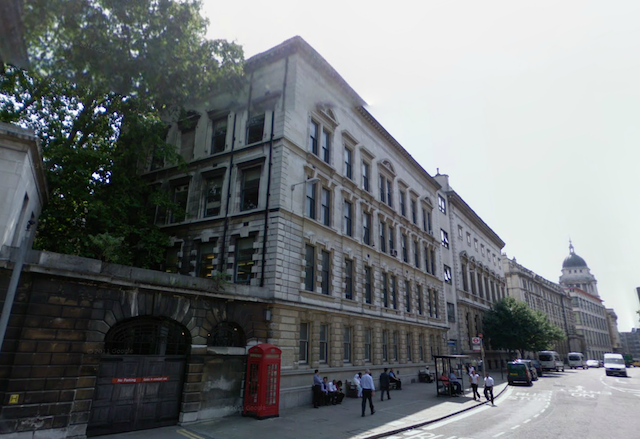 In the BBC version, the Diogenes has moved to nearby 10 Carlton House Terrace, in reality home to the British Academy. John Watson causes a scene by speaking loudly inside the club, where, according to Conan Doyle, no talking is, under any circumstances, allowed. 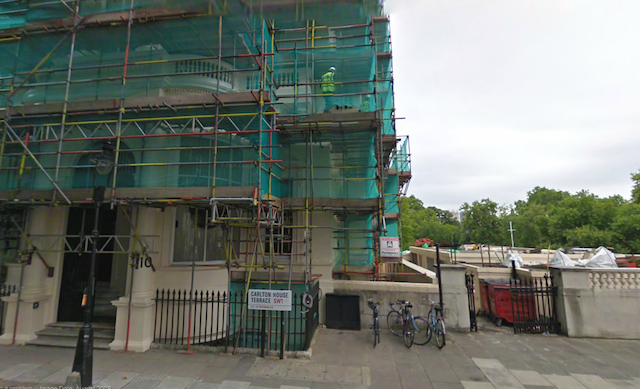 Our picture above, lazily taken from Google Street View, shows the building in scaffolding, but a better photo can be found here. The ancient Smithfield infirmary features in most if not all episodes of Sherlock. Watson first meets Holmes here in both the Conan Doyle original story A Study in Scarlet, and in the BBC series. Without wanting to add spoilers, the roof of the shown building and the pavement below also served in the unforgettable climactic scenes of the final episode to the second series. The excellent Sherlockology website, which has London locations from the first series, with a series 2 update promised soon.